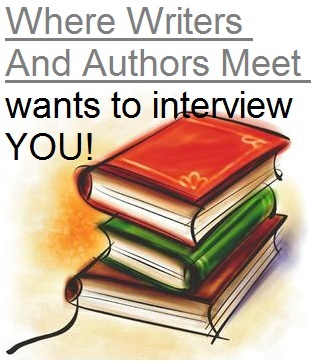 E. Forrest Frank is interviewed by Where Writers And Authors Meet! E. Forrest Frank was interviewed for 'Where Writers And Authors Meet' blog hop. The answers to his interview can be found on his blog: Forrest Productions. You can find out more about the interview blog hop here. The following questions were posed to him by Cyndi Williams Barnier as part of the author interview bog hop. Hop on over to E. Forrest Frank's blog to hear more about him, what he does when he is not writing, and how his love of science filters into his writing. 5. How do art and science contribute to the mysterious, wonderful world that you live/write? I am not much of quotes guy, as I want to express my own thoughts in my own way, but a couple of these questions just beg for specific quotes. Albert Einstein wrote: “The most beautiful experience we can have is the mysterious—the fundamental emotion which stands at the cradle of true art and true science.” The search for understanding and beauty in the world is the driving force of my life. He has chosen Angus Day to interview next-> you can find the questions he is sending to Angus on Forrest's blog!